Emergency Plumber and Gas Engineer for Pudsey with No Call Out Fee! If you’re needing a reliable emergency plumber or gas enginner in Pudsey, Farsley or Stanningley we can be with you within 1 hour. EmergencyMan charge a flat hourly rate with no call out fee, only pay for time spent at the job! All Plumbing Work required will be carried out by a fully qualified plumber and any gas work by a Gas Safe Registered engineer. To give you extra peace of mind, we are also insured for everything we do. We’re available for all kinds of plumbing work, from small leaks to larger jobs such as Unvented Hot Water Heater and Gas Boiler and Central Heating Repairs. As well as clearing blockages in kitchen sinks we can also Clear Outside Drains. All work carried out with the necessary qualifications and skills required. The plumber or engineer that arrives will have a supply of parts and tools in the van for the most common jobs so can often do a permanent fix there and then, on the same day, with no need to return. 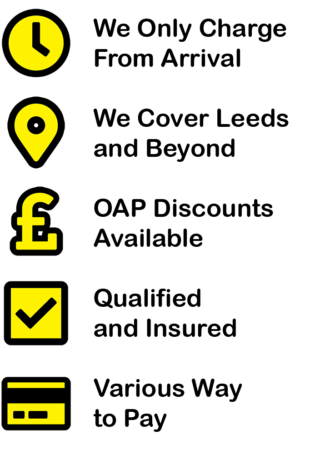 As well as boiler and heating repairs you can also have our Gas Safe Registered engineer give your gas appliances a safety check, and issue a certificate. We’ve been called out to Pudsey and the surrounding areas a few times over the years, and it’s not always been as emergency plumbers. For regular plumbing work our policy of no call out fee still applies, therefore you’re only paying for the actual time spent on the job and not our travel time! 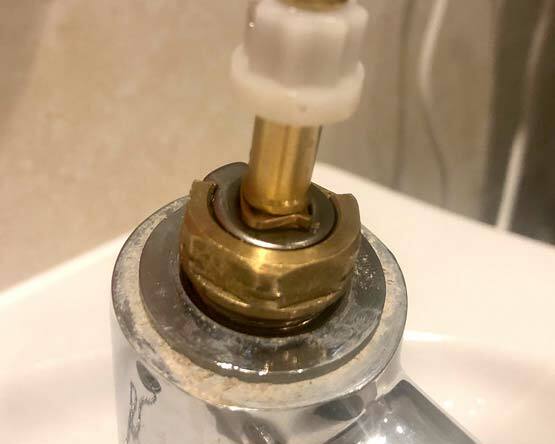 Denise White from Pudsey had what sarted out as a small drip from one of her bathroom sink taps, this soon worsened after hubby tried to fix it. EmergencyMan we’re able to get there within an hour and had the tap fixed on no time. Mark from Emergency Man was absolutely fantastic. I was very happy with his work and for the fact he was able to get out to us so quickly when a small dripping tap was made worse with when we tried to fix it ourselves. Punctual, polite, hard working and an all round good guy, thanks again Mark. Anyone outside of Pudsey, Farsley and Stanningley will be happy to know our plumbers and engineers cover all towns and suburbs in Leeds and further afield in West Yorkshire and beyond. We are happy when you are happy and we don’t expect to get any sort of payment until you are. Our customer care doesn’t stop there though, as plumbers we offer an excellent after sales service with all work guaranteed. If you have any future issues you can rely on EmergencyMan to see to them ASAP.